A VPN (Virtual Private Network) acts like a tunnel which may extend across a private or public network which helps users to exchange information and data securely and anonymously across the internet. It gives an illusion as if you are directly connected to a private network. VPN’s are also used to bring about fake access locations which might be useful in streaming sites like Netflix. 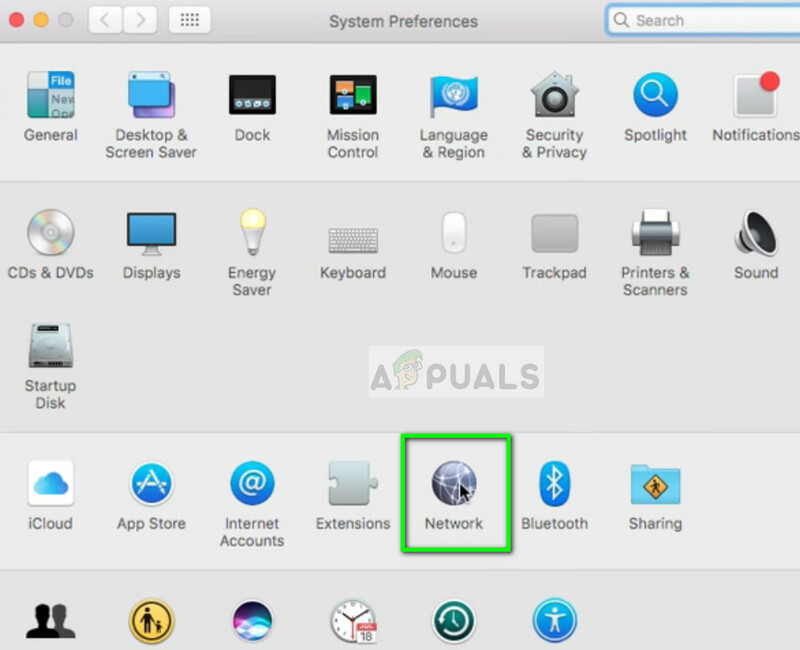 Like all other operating systems, Mac OS also has an inbuilt VPN mechanism which allows users to enter their VPN credentials as given by organizations or third-party vendors. If you do not have such access, you can also make use of third-party vendors (such as CyberGhost). 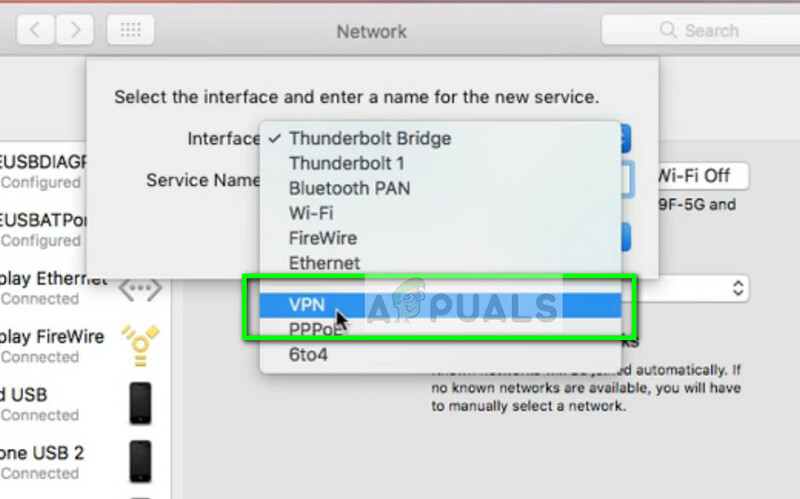 Like Android and Windows, Mac OS also has the inbuilt VPN system integrated into the operating system itself. 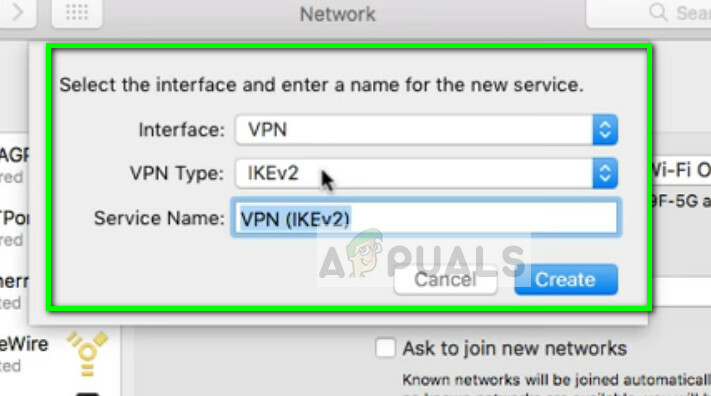 This enables users to input the details of VPN’s given to them by their organizations or VPN service provides and enjoy the seamless application developed by Apple itself. If you do not have the details provided to you, you can always make use of third-party applications for your personal use as shown in the next solution. Open your home screen and click on the Apple logo present at the top-left side of the screen. 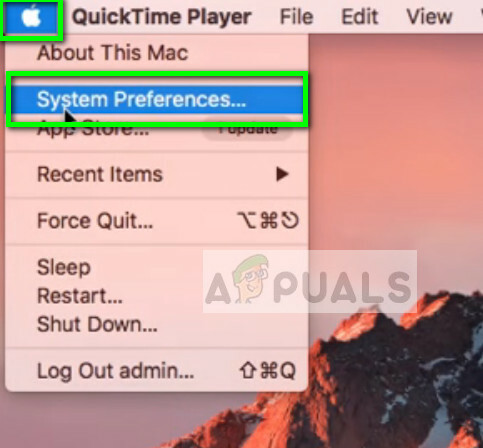 Now select System Preferences. 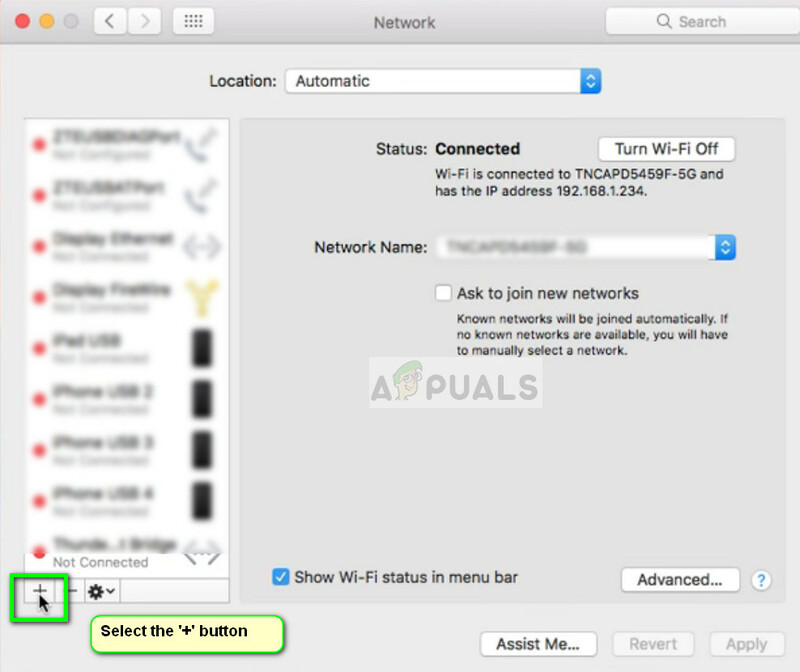 Once system preferences are opened, select the category of Network. Once in Network settings, click on the Add icon (+) present at the bottom-left side of the screen. Once you click the add icon, you will be presented options on which network interface do you wish to add. Select the option VPN after clicking the dialogue box. Make sure that you know the VPN type when adding extra details. Enter these details carefully as you will be using them in the future for reference. Now you must enter the details which are provided to you by your organization or your VPN vendor. 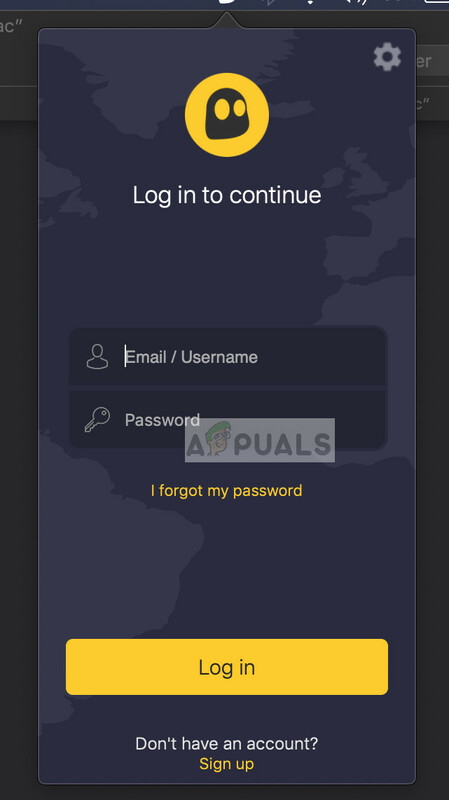 After entering the Server Address and the Account Name, click on Authentication Settings and enter your User and Machine Authentication. Click OK to save changes. 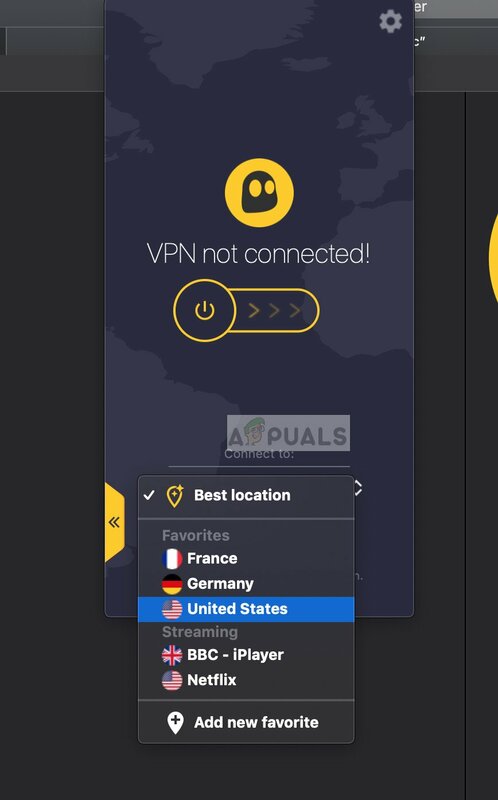 Now click on Advanced after you are navigated back to the main menu of the VPN connection. 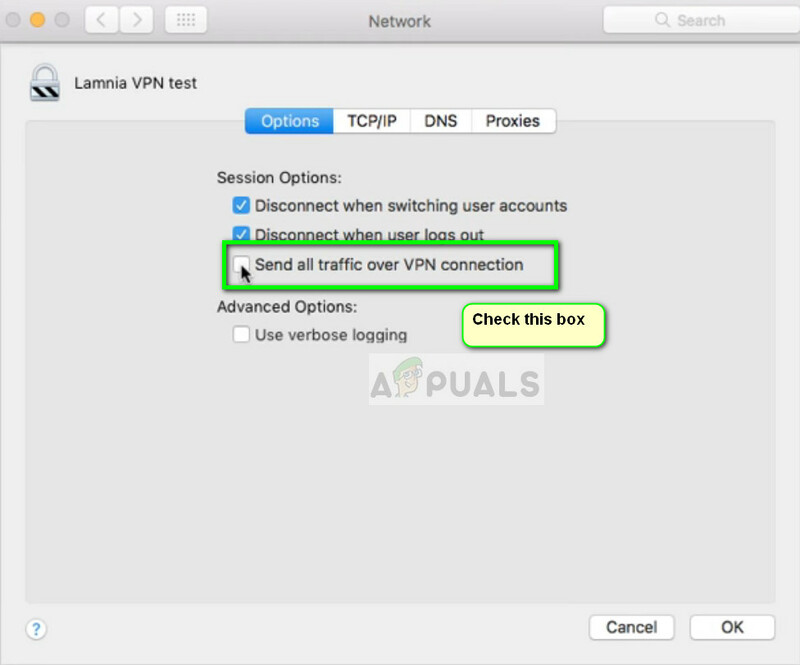 Select the option Send all traffic over VPN connection. Press OK to save changes and exit. Now try connecting to the VPN and see if you are to successfully reroute your internet traffic. You can easily check websites like whatsmyipaddress to see your current IP address and check if the rerouting is successful. 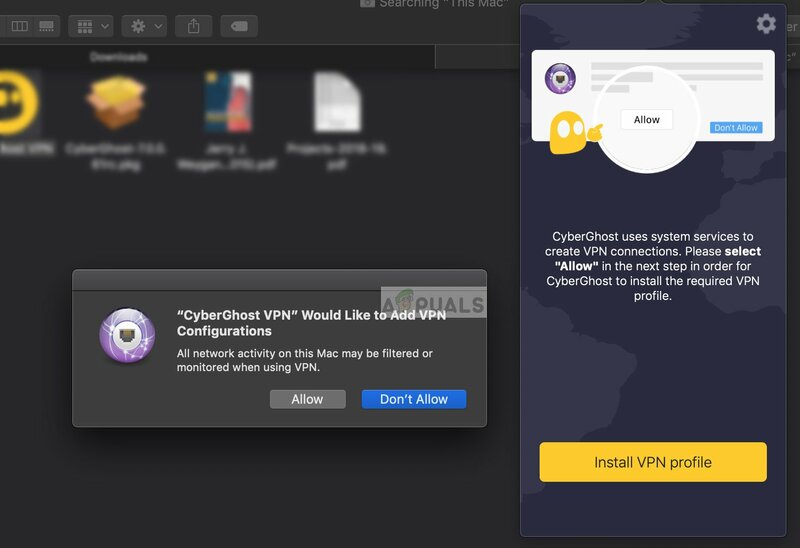 If you don’t have access to a dedicated VPN through an organization or your workplace, you can always use third-party applications (like CyberGhost) to get access to a VPN for your personal use. These applications are fast and get the task done even if you are a complete novice in the networking world. 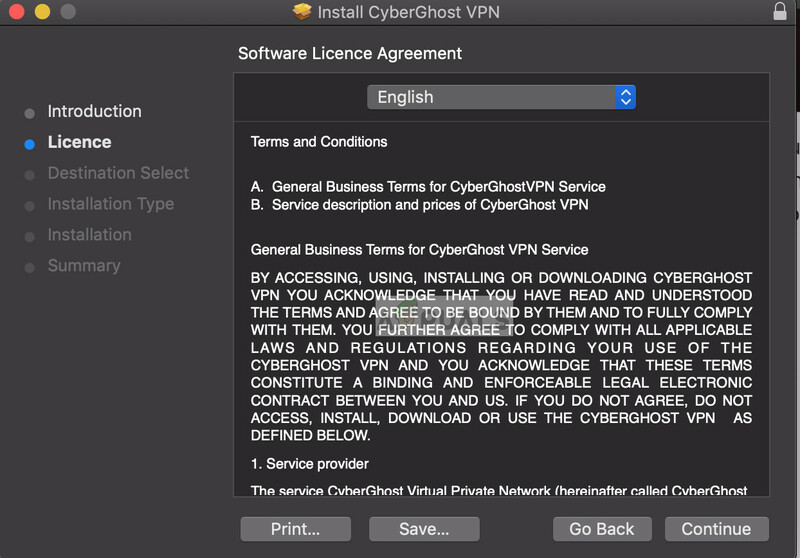 You can download CyberGhost VPN from (here). After downloading the package, install it on your Mac device. When the application is installed, look at the top on your screen towards your taskbar and click on CyberGhost VPN icon. If you don’t have an account, create one and log into the application. Now you will be asked to grant permission to the application. Click Allow when prompted. You may also be asked to enter your computer’s password. Once permission is granted, click on the location icon present at the near bottom and select the location of the server which you want to connect to (this is where your traffic will originate to the target website). Once a custom location is selected, slide the power button on the VPN’s screen to connect to it. Now you can check if your VPN is working properly before moving on with your work. This can also be used to unblock streaming websites like Netflix for specific viewership content according to countries.